High Strangeness: Fifteen UFOs and 35 Head of Cattle! I've had a quite the afternoon. The other day I was chatting with my MUFON State Director, Mxxx, about the huge backlog of reports we've amassed here in Wisconsin, so today I decided to pitch in and do my share. You can imagine my surprise when I logged on to the MUFON Case Management System and discovered that I had no less than a dozen outstanding cases to my name. A dozen! That's unacceptable, even with my lax standards. Then I looked them over and realized that I had already tried to contact the witnesses in seven of those cases. Of those, only one had ever responded, and I have an appointment to interview him on Txxxxxxx. The other six? UFO deadbeats. None of the witnesses had responded to any of my repeated attempts to contact them, so I decided it was time to close out all six cases and classify them all as "Insufficient Data." All but one, that is, and I'll get to that later. I do this with mixed feelings. Some of the cases I have to close out seem interesting, but I have to accept that the witness just might not want to talk to me about it and I will never know what the UFO was... With other cases, I am actually relieved that I don't have to talk to the witness, because they are clearly not worth talking to. I was looking up at the lunar eclipse. Then I noticed a shadow in the sky above my head that looked like a large bird at first glance. As I focused on it, the The shape became very visible. It had 5 lights on the front side. It wasn't there for long and the lights were very dim. It seemed more like reflections of light, but as it changed angles from me they didn't change or move. I could clearly see the outline of the object as it disappeared due to the lights of the city. It was only visible to me for like 9 seconds. It was moving very fast. From the shape and speed it was moving my first though it was a bird for that reason. It did not appear to be very far from me. Then I could see there was no flapping, and the lights very faintly. Last night at 1:32 AM 3 friends and I were out on a walk. At one point when we were looking at the sky, two of the others and I saw two lights fairly low (about 500 feet, it's hard to tell) move very slowly heading northwest (more north leaning) and then speed off at an extremely fast rate until it disappeared. The whole thing lasted about 5 seconds, and 3 of us all saw the same thing. This witness actually did respond to one of my emails... with a blank email. He didn't respond to any other messages, but that's ok. I don't think there's much here. We were driving on I43 at 1250am September 20, 2013. We had been on the road for about twenty minutes heading back to Colorado. I noticed an orange glow flying at about 3,000 to 5,000 feet heading NE about to cross the freeway. I told my son to look as I pulled off the side of the highway to a full stop. I then turned my headlights off and then on several times. At that moment it changed direction heading southeast on a dime. We stood and watched the object for a few seconds and it suddenly changed directions once again heading NE toward Milwaukee. A few seconds later the object accelerated to an incredible speed and vanished off into the distance. Intrigued? Me too. I guess the witness thought that since it happened last fall it was old news. UFOS are never old news. on the night of may 17 i was walking my friends dog,walking to first corner of lindermann ave @ hayes ave when to the north over a house appeared 2 orbs bright as a fireball, u could not miss them. then i took the dog back to friends garage, to get my friend to come outside. we both went out to observe the orbs in the alley. then 2 more orbs appeared, then 2 more appeared over the houses flying towards the east towards a cemetary before scattering in different direction and flying up in to space. i was a little scared at first until i got my friend he was scared also, they made no sounds at all no blinking lights, the orbs stayed same color at all the time. my friend stated he saw 5 orbs. Notice the eerie similarities? The witness was walking his friend's dog at the same intersection both nights two years apart!! Notice how the witness' "friend" is always hanging out in his/her garage? Notice the completely loony rationale for believing something would appear on May 21st of this year? Notice the cheeky invitation to meet up with the witness on May 21st? I did, too, and yet when I tried to accept the invitation the witness did not get back to me. Which is not surprising: what can you expect from a person who ignores an orb's telepathic plea for help? As always, I saved the best for last. This is the case that I could not file as "Insufficient Data," because there isn't even enough data to dignify it with the adjective "insufficient." It's complete hearsay, and so I had no choice but to classify it as "Information Only," which is MUFON's polite term for "Uh... No." Cattle mutalation approximatly 35 head of beef cattle on a farm north of praire du chein wisc,farm own by a father and son, went there to ask them about it and what they said was all the cattle were taken ro madison wisconsin , they were told that they were not allowed to talk about this to anyone buy an order from the military,they father and son was so in fear that they bought pistols to carry with them on the farm. All the son would tell us was there was no foot prints of any type or tire tracks and the animals were missing all hanging body parts and reproductive organs. Wait, were the cattle taken to Madison or not? 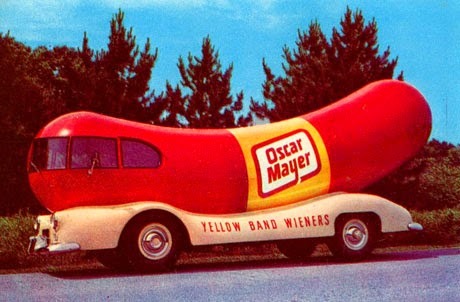 And if they were, can we assume they were taken to the Oscar Mayer plant? What is this strange conveyance, and why is it always spotted in the vicinity of cattle mutilations? I believe a lot of people like to express themselves when they see things. I know that in the last 4-5 years.. I had the same things happening to me. MJ know's me as well. But I no longer report it.